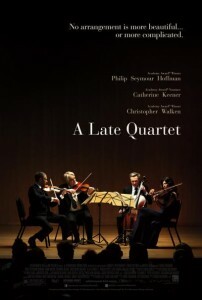 Check Out the Trailer For ‘A Late Quartet’!!! 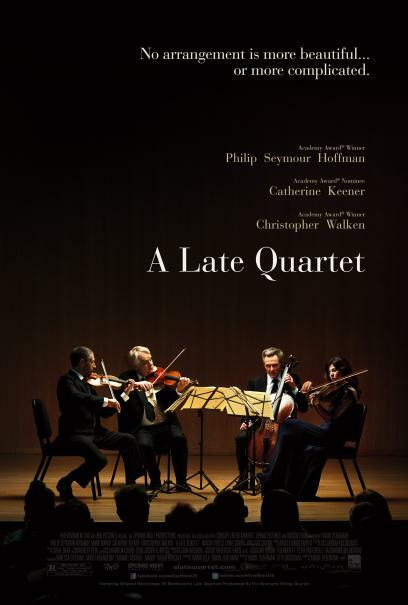 Check out this great trailer for the film ‘A Late Quartet’, starring Philip Seymour Hoffman, Katherine Keener, Imogen Poots, and Christopher Walken. The film tells the story of a beloved cellist of a world-renowned string quartet who receives a life changing diagnosis, the group’s future suddenly hangs in the balance: suppressed emotions, competing egos, and uncontrollable passions threaten to derail years of friendship and collaboration. As they are about to play their 25th anniversary concert, quite possibly their last, only their intimate bond and the power of music can preserve their legacy. Inspired by and structured around Beethoven’s Opus 131 String Quartet in C-sharp minor, the film pays homage to chamber music and the cultural world of New York. Enjoy. This entry was posted on Monday, September 10th, 2012 at 4:51 pm	and is filed under Film, Music, News. You can follow any responses to this entry through the RSS 2.0 feed. You can skip to the end and leave a response. Pinging is currently not allowed. « The ‘Star Trek’ Sequel Now Has A Title!! !